When June Blake moved into the steward's house of a former estate 12 years ago there was no garden to speak of. Today, the magnificent garden draws visitors from all over Europe. 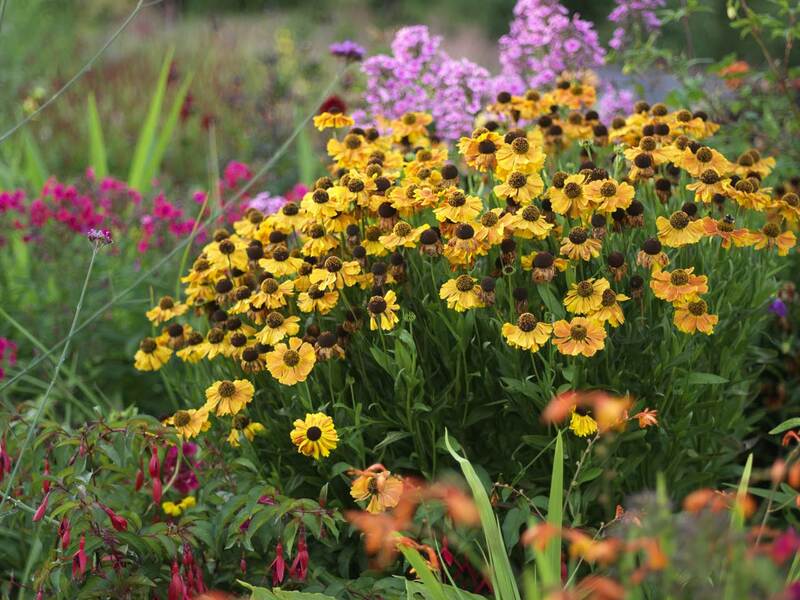 Here she shares her top ten plants and flowers for a colourful autumn border. June Blake's September border, as photographed by Richard Johnston. Rodgersia Pinnata 'Perthshire Bronze', photographed by Richard Johnston. 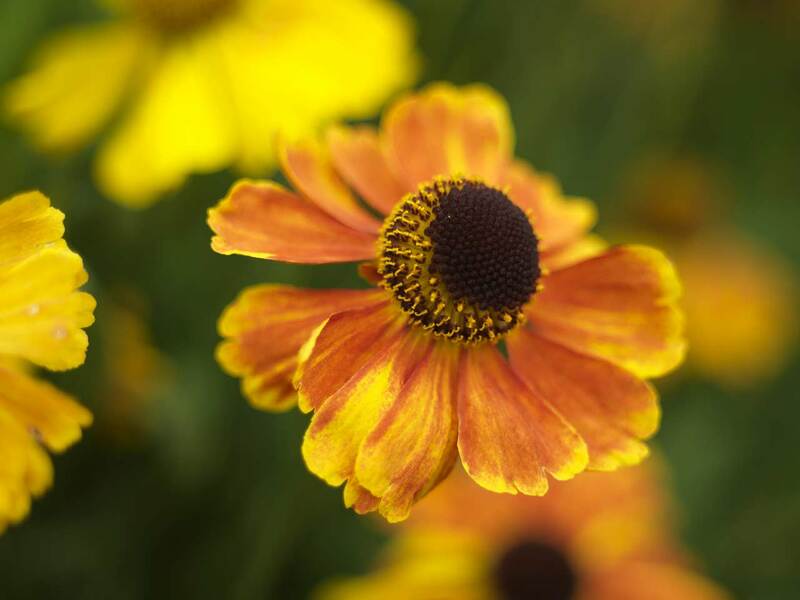 Helenium 'Sahin's Early Flowerer' photographed by Richard Johnston. 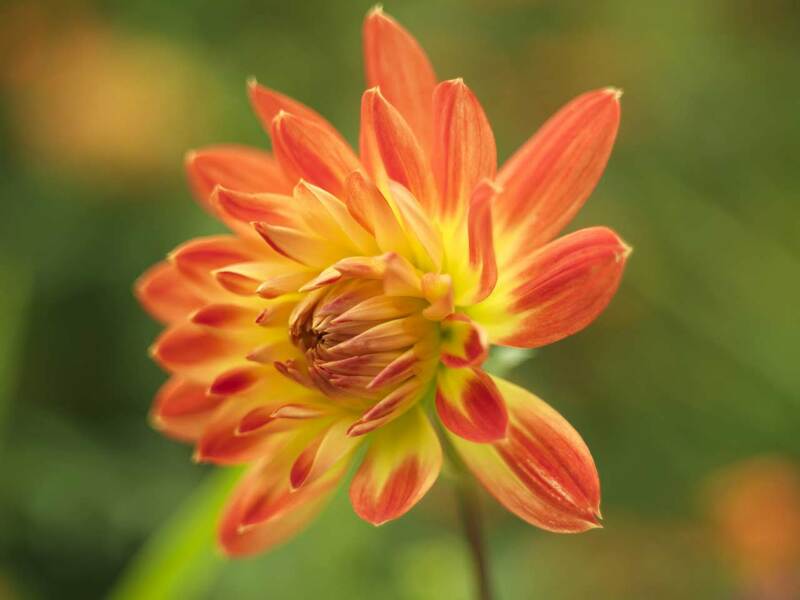 Dahlia 'Procyon' photographed by Richard Johnston. 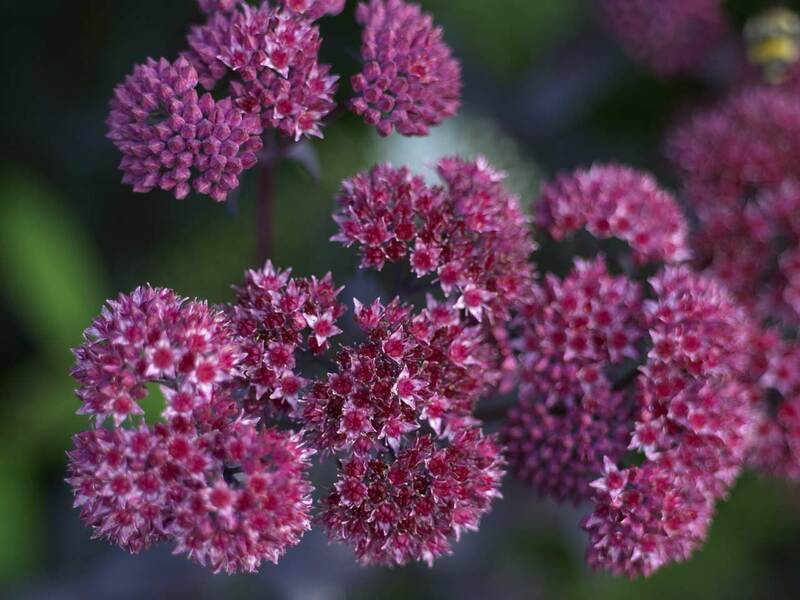 Sedum 'Jose Aubergine' photographed by Richard Johnston. June Blake's stunning garden in County Wicklow draws visitors from all over Europe, and one of the main attractions are the stunning autumn borders. Perhaps what’s most remarkable during September is the fullness of the huge beds – the two ‘hot’ beds, aglow with vibrant colours, are 5m wide and 12m and 24m long – and the stature of plants such as thalictrum and species dahlias that show no signs of flopping even after a day of non-stop rain. June explains that she keeps an eagle eye on each bed, and as soon as sprawling plants such as Knautia macedonica have gone over, she cuts them down to give other plants, especially dahlias, more light and air. In the gaps where spring-flowering species have died back she uses what she calls ‘sacrificial plants’ – pots of Verbena bonariensis and melianthus, grown specially for this purpose and sunk into the soil to keep them moist. She also deadheads daily to prolong colour, and allows only a few selected seedheads to set at this stage. To stop the beds looking bitty she threads through one or two common plants – such as Actaea simplex ‘Brunette’ and Althaea cannabina – and edges part or all of the bed with a single species such as Geranium Rozanne and ‘Anne Thomson’, Sedum purpureum, and pulmonarias, including the elegant silver-leaved P. ‘Blake’s Silver’. See our image gallery and find out more about June Blake's magnificent garden. Actaea simplex has got it all: scented flowers, which bees love; seedheads that stay standing in snow and are loved by birds. Paulownia tomentosa is cut back in spring to 30cm (1ft). It then grows to at least 3m (10ft), with huge leaves that can shade lower plants, so be ruthless and cut off leaves where necessary. A wonderful, tall, see-through plant with small pink flowers until frost. If you deadhead this, it will keep producing rich orange flowers throughout autumn. Thalictrums have that lovely translucent quality. This one, with strong mauve flowers, is tall and airy. The large, golden-yellow flowers keep blooming until the first frost. A lovely late umbellifer with a dark stem. Bees adore it. This has great stature and simple lilac flowers, plus bumblebees love it. Easy to grow from seed sown in spring. 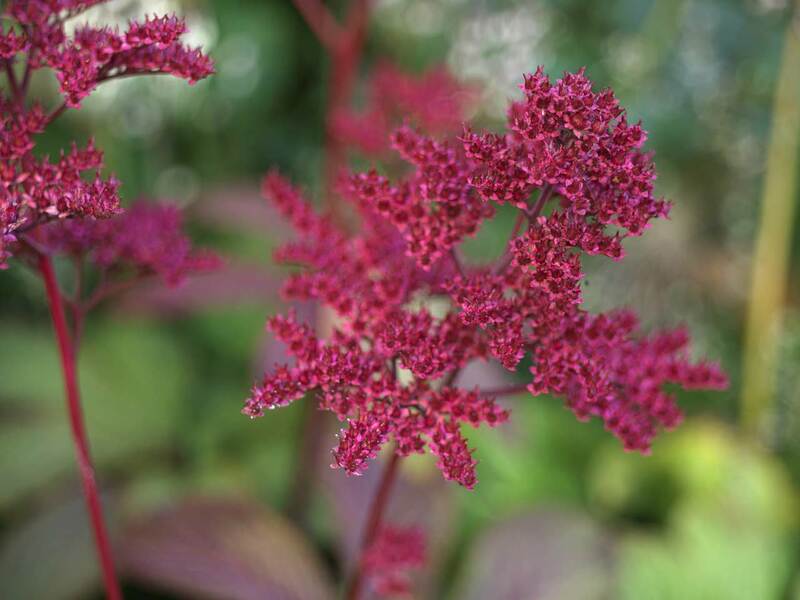 The ruby-red seedheads on Rodgersia pinnata are as good as the pink flower. Pictured right. This flowers right through autumn until the first frosts. I lift it with soil, pot it up and keep it under cover in winter. All photographs by Richard Johnston. 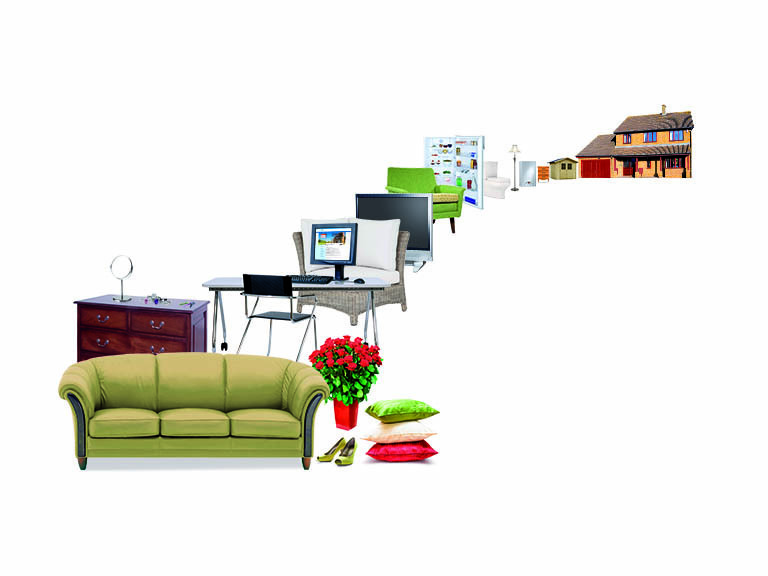 Annie Gatti is a home and garden correspondent for Saga Magazine. Read their latest articles.